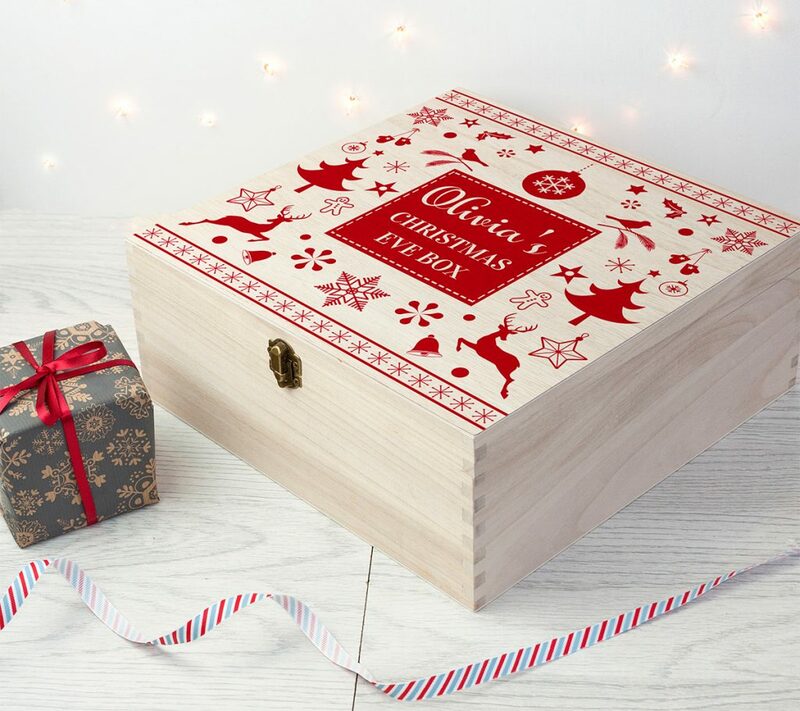 Why not start an enchanting new Christmas tradition with a Christmas Eve Box and perhaps the excitement of opening one of these will stop the “Can we have just one present please? Just one”. How many times do parents hear that every Christmas Eve? 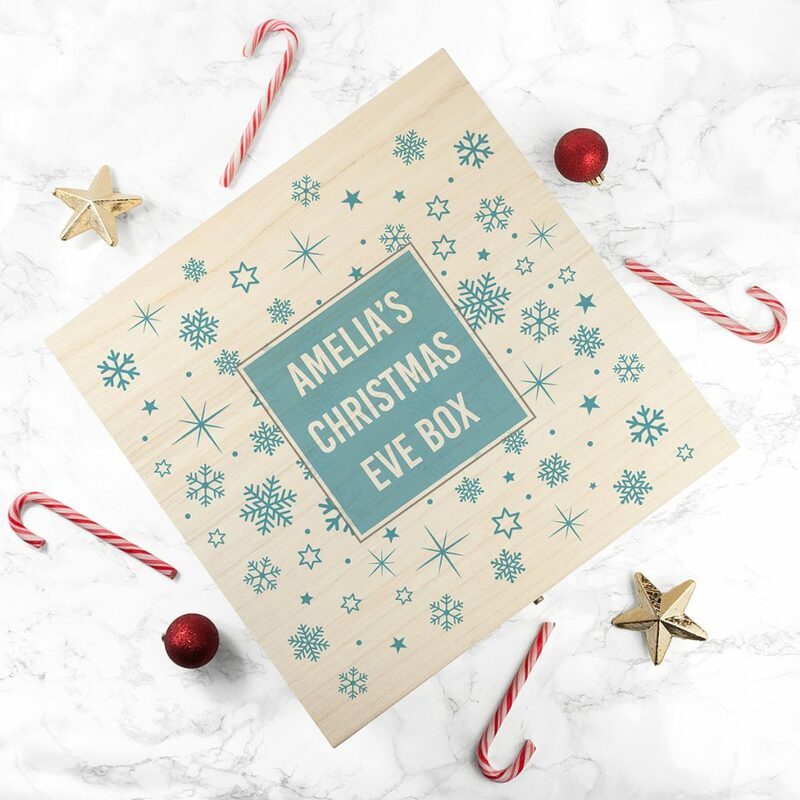 Our range of smooth wooden Christmas Eve Boxes are hinged and decorated with a choice of designs that can be personalised with a child’s name or family name. They are supplied empty for you to fill with treats and calming activities to increase the magic of Christmas; something to use for years to come. Children might enjoy finding a new pair of Christmas Pyjamas, a colouring book, a letter from Santa (he does sometimes have time to write them), some writing paper or notecards for thank you letters, a special Christmas biscuit and an individual hot chocolate mix with a few mini marshmallows, a DVD, or perhaps some special chocolates to hang on the Christmas tree? A calming treat might be a herbal bath bomb or bubble bath, some snuggly socks, a downloaded Christmas film and some popcorn or a ticket for the local panto. You could also include something special to leave out for Santa or Rudolph! If you’re buying a box for a family don’t forget the adults! How about fluffy socks, more hot chocolate and marshmallows, a Christmas scented reed diffuser or candle, a few miniatures of favourite tipples, some chocolate, a couple of pamper treats to help parents relax before the big day – bath bombs or smellies or a joke present for Dad – washing up gloves! Pinterest is a brilliant source of inspiration click here for some of our Pinterest ideas. With a Christmas Eve Box and a little imagination you will create a magical new family tradition that will last for years.